The Salzburgerhof is a truly stunning hotel, it is officially rated as a 5 Star Superior making it one of the finest hotels in Austria. Luxury, service and attention to detail are all in abundance from the Holleis family and their team. The facilities and cuisine are simply stunning and this is recognised by the various awards given for the 3500m² spa area and superb cuisine. Wi-Fi internet access ( Free ). 40m² junior suites have bath or shower, balcony and sleep up to 3. 50m² suites can take up to 2 extra beds (on request). All rooms have telephone, radio, cable TV, bathrobes & slippers and free Wi-Fi. We update Salzburger Hof's details often, but facilities do change. e.g. some extras listed by the supplier as "free" or included might only be for the first time you use them, or for one time per party, then charged for further use. If any specific feature is essential to your holiday, make sure you ask us to confirm the details of it before you book your holiday. This package holiday to Salzburger Hof in Zell Am See, Austria departs Saturday 14th March 2020, for a 7 night stay on a "half board" board basis. A local tourist tax (Taxe de Sejour or Kurtaxe) is levied by many councils in European ski resorts. It varies by standard and type of accommodation and is age dependent, so not everyone is charged. It's not included in the basic price of your holiday and is usually paid locally. For reference, the average charged in winter 15/16 was between 50p and £2 per person, per night. 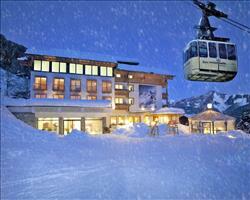 Zell Am See lift pass price last reported as 225€ 6 days. Ask for a quote when booking Salzburger Hof. Romantik Hotel Zell Am See Austria, Dover Ferry 14th March. Hotel Fischerwirt Zell Am See Austria, Dover Ferry 14th March. Alpine Resort Zel... Zell Am See Austria, Dover Ferry 14th March. 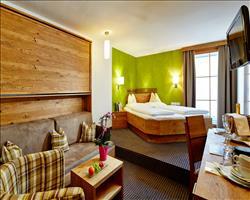 Hotel Berner Zell Am See Austria, Dover Ferry 14th March. 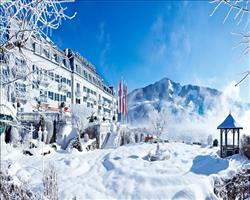 Hotel Der Waldhof Zell Am See Austria, Dover Ferry 14th March. Hotel Feinschmeck Zell Am See Austria, Dover Ferry 14th March. 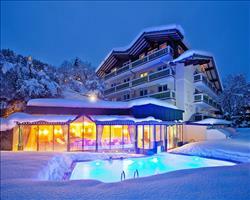 Hotel Grand Zell Am See Austria, Dover Ferry 14th March.